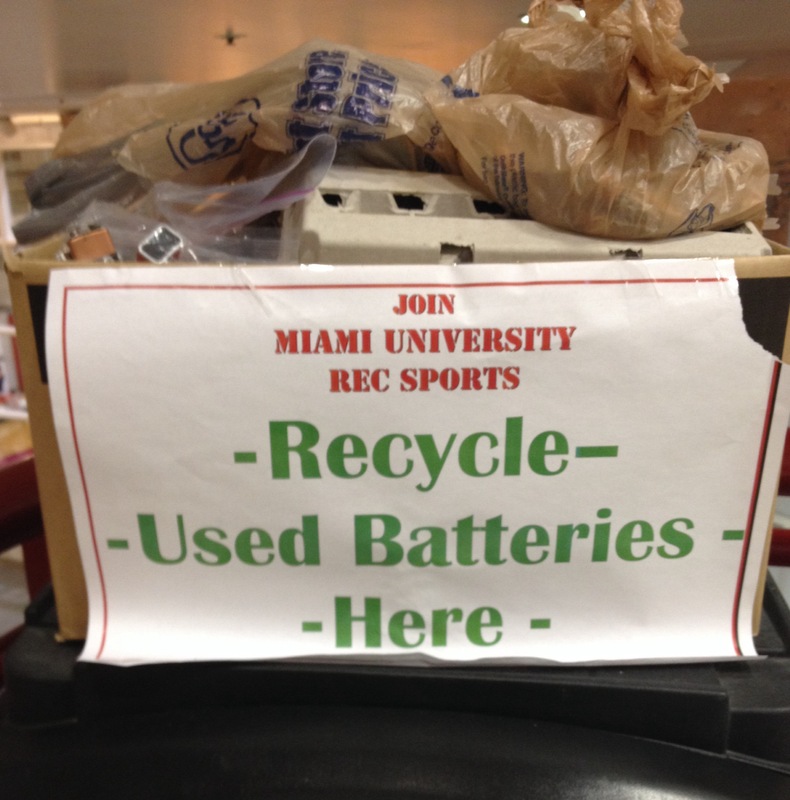 Recycling on the Miami University campus goes beyond basic glass-paper-plastic as Miami’s Green Team offers both battery and used printer cartridge recycling services. Run almost entirely by student volunteers, the Green Team, a group dedicated to improving environmental sustainability on campus, collects batteries and used ink cartridges from the multiple campus drop-off locations where they are then sorted and boxed to be picked up and taken to a recycle site in Hamilton, Ohio. Maureen Harter, assistant director of the Outdoor Pursuit Center offered insight to the convenience of the many drop-off locations. 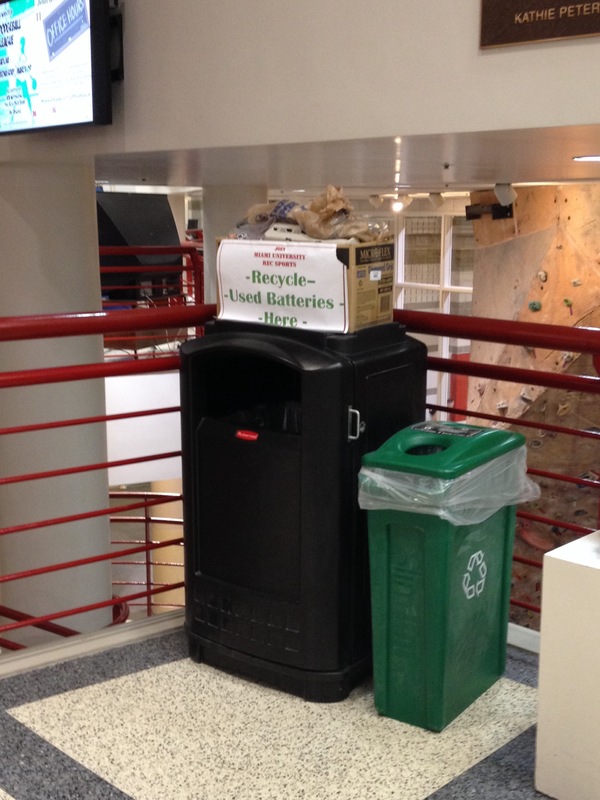 Drop-off centers for batteries are located in King Library, the Rec Center, Farmer School of Business, Wells Hall, Best Library, and Pearson Hall (ink cartridge recycling in the basement). Recycling these items is less common than the basic glass-paper-plastic recycling, but it is just as important. Batteries are composed of many heavy metals. If thrown away, they get placed in a landfill, where they are prone to corrosion, which could pollute both the soil and water sources. If recycled, batteries can be taken apart and many of the metals reused to make new batteries or other products. Likewise, if used ink cartridges are recycled, they can easily be made into new cartridges.